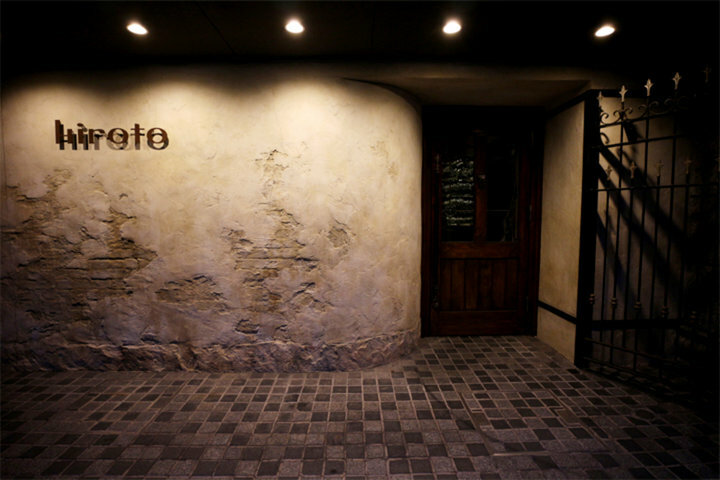 "hiroto" is a French restaurant situated in the town of Fujimi, Hiroshima’s Jizo-dori street popularly known as the “adult’s fashion street.” It is the only Michelin 2-star restaurant of the Western-style restaurants in the Chugoku and Shikoku regions of Japan. 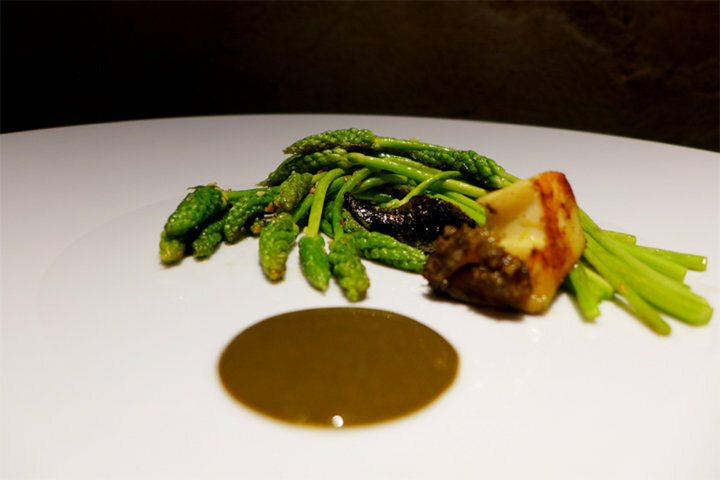 After graduating from the Tsuji Culinary Institute, the owner and head chef, Yoshiyuki Hiroto, worked in Hiroshima and Tokyo restaurants prior to working as the sous-chef under Claude Bosi at the Michelin-starred English restaurant, Hibiscus. 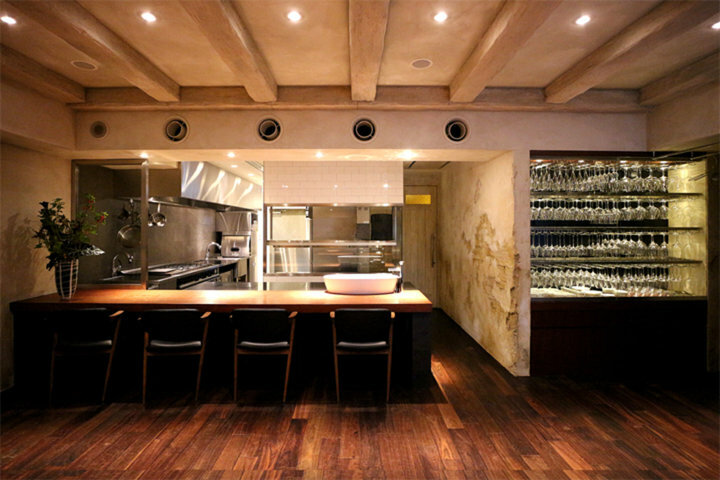 Yoshiyuki Hiroto’s style of meals involves small quantities of a large number of dishes, combining over 70 ingredients. 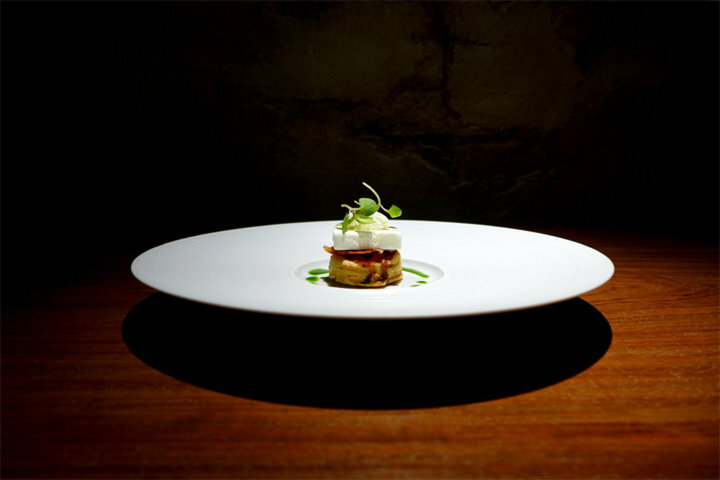 Mr. Hiroto states, “This is simple cuisine with no excess, expressing only the flavors I want.” Bearing in mind the concept of “One plate = one dish,” he does not, for example, sprinkle on herbs that serve solely as decoration; only those that are indispensable components of the flavor of the dish. 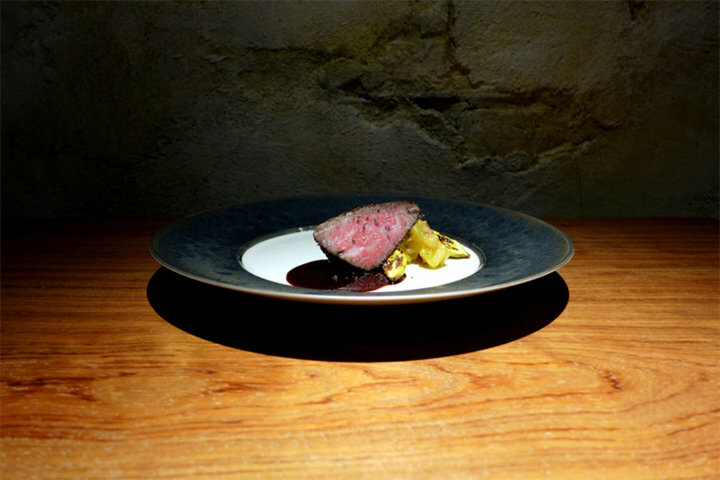 Using a wide variety of forms of ingredients such as purées, homemade flavored oils, charred garlic and hibiscus powder, he melds the five tastes, heat, aroma and mouthfeel on a single plate. 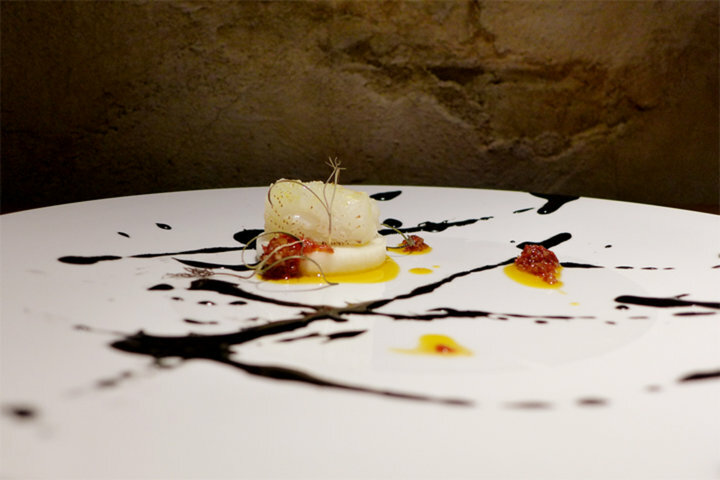 For example, his tomato taste combines salted frozen yogurt, dry-cured ham from black Iberian pig, homemade ricotta, lemon basil, black pepper and basil oil into a presentation designed to combine all the flavors in a single mouthful. As the flavors of each of the ingredients combine to play an exquisite harmony within the mouth, diners will come to appreciate this unparalleled understanding of cuisine. Our wine of the highest-class offerings of the Burgundy region, with over 1,200 bottles of 400 varieties in stock, from winemakers such as DRC and Armand Rousseau. The premium wine such as Meursault 1er Cru “Charmes,” Chassagne-Montrachet, Château Grand Puy Ducasse, and Pernand-Vergelesses are also offered as single glasses. The luxury extends to our interior, with our tables and bar made from single planks of pure Bubinga wood, our Kai Kristiansen No. 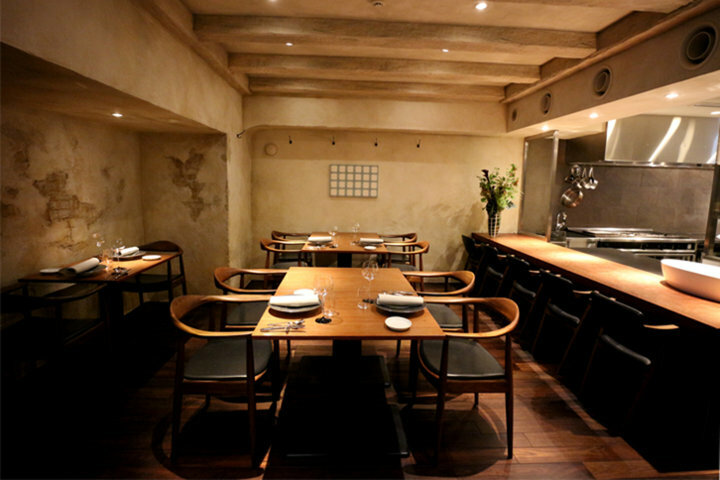 42 chairs, and tableware consisting of Limoges porcelain and Lobmeyr and Riedel Black Tie wine glasses, making us Hiroshima’s most perfectly coordinated restaurant.